Membership renewal invoices for the 2018-2019 membership year (covering the period of July 1, 2018 through June 30, 2019) will be generated and issued next month. Please take a moment to check the contact details in your company’s membership record to ensure the accuracy of that information and make sure we are sending renewal notices to the correct person and email address. As in the previous several years, IAADFS will not be mailing dues invoices via the postal service. Instead, invoices will be generated in your company’s membership record and will be available for your company to renew online with a credit card or to download and pay via check or wire transfer. Your continued membership in IAADFS is also an investment in your company and our mutual industry, since that membership support helps to fund IAADFS advocacy efforts and other industry initiatives for the benefit of our members and the duty free and travel retail industry. Thank you for your ongoing support of IAADFS. "Qatar Airways Wins 'Best In-Flight Duty Free Program'"
"Nearly 80 Percent of Foreign Tourists to Seoul Like to Go Shopping"
"Dufry's New Hong Kong Shops Show Asian Ambitions"
"USVI Open for Business, Says Tourism Commissioner"
"Duty Free Could Be Sealed in Bags During Flights"
"Duty-Free Shop Opens in Bali Airport Arrival Area"
"Barbados Looks to Continue Tourism Surge"
"Australian Airports Outlook Strong as Chinese Tourists Keep Coming"
"The World's Busiest Airport Revealed"
"Offshore Duty-Free Shopping Policy to Cover All Outbound Tourists in Hainan"
"After a Record Year, Toulouse Airport Is Ready to Take Off Internationally"
"Airlines Know You Hate the Airport, and Are Trying to Do Something About It"
Keeping your profile up to date on our website ensures that our online membership database is accurate and that you will be informed about association activities. It also makes sure that other members who are logging into the online directory are able to see correct information about you and your company. Please take a moment to log into the website and review the contact information that is on file for your personal record as well as for your company’s record, including your company’s brand profile (for supplier members) or store listing (for concessionaire members). Visit www.iaadfs.org and enter your login credentials in the Sign In box on the bottom right corner of the homepage, or click the image below to go straight to the sign in page. 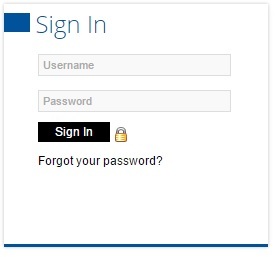 If you don’t remember your login credentials, contact our office or use the Forgot Your Password feature on the website to retrieve your username and/or password. Please click here to download a helpful tips document showing how to perform updates in the website – but note that some of these update options are available only for the person who has access to your company’s master company record. Qatar Airways received the PAX International Readership Award for "Best In-Flight Duty Free Program" for the Middle East and Africa at an awards ceremony on April 11 in Hamburg. This is the second time Qatar Airways has won the award for its outstanding in-flight duty-free service, which is operated by Qatar Duty Free (QDF). According to Qatar Airways Group CEO Akbar Al Baker, "Our in-flight, duty-free program continues to be recognized by our passengers as one of the finest in quality and product range, and this award showcases not only our customers' satisfaction, but QDF's dedication in providing an exceptional shopping experience to all passengers flying with us." Thabet Musleh, head of QDF, adds, "We handpick an exclusive collection of market-leading duty-free products for Qatar Airways' in-flight duty free program, for passengers traveling on Qatar Airways' global network of more than 150 destinations across six continents. We greatly value the opinion of all our customers and will continue to set new standards for the industry and ensure that QDF is an experience worth traveling for." According to a recent survey by the Seoul metropolitan government, 85.2 percent of respondents expressed a desire to go to the Myeongdong shopping area in the city center. Nearly 80 percent of foreign visitors to Seoul like to go shopping the most, and about 60 percent wish to enjoy Korean dishes. About 57 percent said they wanted to visit N Seoul Tower on Mount Nam in central Seoul, and 55 percent said they would like to spend time at four palaces of the 1392-1910 Joseon Dynasty. Lotte Duty Free Shop came next with 51.5 percent, trailed by Lotte Department Store with 48.7 percent, Dongdaemun Market with 45.7 percent, and the Insadong and Samcheongdong area with 40 percent. The research showed that stays in Seoul averaged five days in 2017, slightly up from 4.9 days the previous year. It found 44.3 percent of the respondents had made a second visit to Seoul, compared with 41.7 percent in the previous year. The repeat visit rate among Chinese tourists was 46.9 percent, up from 37.8 percent a year ago, while the rate of Japanese visitors was almost flat at 69.5 percent. More than 52 percent of the respondents said they shop at duty-free stores, 48.2 percent at traditional markets, and 44 percent at department stores. Dufry seeks to expand its business in Asia and won a five-year contract to run duty-free shops with total floor space of 1,500 square meters on both the departure and arrival sides of the new West Kowloon terminal for the Guangzhou-Shenzhen-Hong Kong Express Rail Link in Hong Kong. The shops are expected to be fully operational by year-end. Andrea Belardini, head of Dufry's operations in Asia, the Middle East, Australia and Eastern Europe, says the new stores at the Hong Kong train station represent "another important milestone" in the company's drive to expand in Asia, and "a great opportunity to showcase Dufry's capabilities in the highly competitive market of Hong Kong." The stores will sell beauty products, liquor, tobacco, confectionery, and fashion accessories, among other things. The new West Kowloon station is part of a 140 km express rail link operating between Guangzhou in the south of mainland China and Shenzhen, which is adjacent to Hong Kong. Construction on the Hong Kong side is more than 90 percent complete, and Dufry is optimistic that global demand for travel will remain steady. U.S. Virgin Islands Commissioner of Tourism Beverly Nicholson-Doty has addressed a broad range of consumers and industry stakeholders in Chicago, Atlanta, and New York, telling them that the islands are open for business despite the ongoing recovery process from the 2017 hurricane season. "We have several hotels that have reopened … our yachting industry is absolutely glorious and we have wonderful villas. However, it is a journey … we will have more hotels opening at the end of the year and as we look towards the future we really feel that we're going to have an even better tourism product," she told CNN. At a meeting with United Airlines in Chicago, Nicholson-Doty, who was accompanied by David Mapp, executive director of the Virgin Islands Port Authority, provided updates on the territory's accommodations and tourism offerings. She reconfirmed that United had resumed service to St. Thomas from Newark, New Jersey, and Washington, D.C. The airline will recommence flights to St. Thomas from Houston later this month, and provide daily flights from Washington Dulles International Airport this summer between early June and late August. The commissioner and executive director held similar talks with JetBlue Airways in New York and attended an airline training program in the city. "As we bounce back, it's critically important that we update our partners on the significant progress we are making, while taking the necessary steps to ensure that flights return as more accommodations become available," she said. "Power has been restored across the territory, our beaches and attractions have reopened, cruise lines and airlines have returned, and a wide variety of accommodations are available even as our rebuilding and resiliency work continues." As part of a proposed shake-up of the United Kingdom's Aviation Strategy, which aims to reduce drunkenness on airplanes, passengers could be required to keep duty-free alcohol purchased at airport shops inside sealed bags while they are flying. It is not illegal to drink your own alcohol on a plane under U.K. law, but it is a policy of U.K. airlines. The government also is considering tougher penalties for drunkenness on aircraft and extended licensing laws for airside premises in England and Wales. More than 400 disruptive passenger incidents were reported last year to the Civil Aviation Authority. Currently, sealed bags are used only for passengers taking multiple flights, and therefore passing through several security checks. The Aviation Strategy will be put to public consultation later this year, with the final version published in early 2019. I Gusti Ngurah Rai International Airport in Denpasar, Bali, has started to sell duty-free products in its international arrival terminal, which is said to be the first such shop in Indonesia. The airport collaborated with PT Dufrindo Internasional in building the 298-square-meter shop, and it is directly supervised by the customs office. "The store allows passengers to shop more easily once they have landed," said Yanus Suprayogi, general manager of the airport. Robi Toni, director of customs at the airport, said Indonesia was ready to compete with other countries, noting that more than 50 countries had a similar duty-free on-arrival facility. "We provide special packaging for products bought at Ngurah Rai's airport to make identifying them easier," he said. Robi added that in the one week since the launch, around 85 percent of shoppers were foreign travelers, and the rest were Indonesians coming home after traveling overseas. U.S. Director of Barbados Tourism Marketing Petra Roach announced that Barbados broke a 30-year-old tourism record last year, and the island is on track for even more sustained growth in 2018. "This is a really exciting time in Barbados's journey and we want to spread the message that a vacation to Barbados is an immersive, transformative experience rather than just 'sun, sea, and sand,'" said Roach. The island is home to new and transformed hotels like the debut of the New Nikki Beach, the launch of the new all-suite Sandals Royal Barbados, and the Treasure Beach, Elegant Hotels' adults-only stunner on the West Coast. This year, Barbados is looking to focus on food, with its recently launched "Year of Culinary Experiences" campaign, which highlights culinary and local experiences, led by the ever-popular Barbados Food and Rum Festival. Australian airports could benefit from continued growth in Chinese tourists in 2018, as the numbers of air travelers arriving from China are rising significantly faster than arrivals from other countries. The numbers of international passengers arriving at airports from China jumped 24.8 percent for the 12 months ending in January to 3.2 million, according to new data from the Bureau of Infrastructure Transport and Regional Economics (BITRE) released in April. The data shows the strong growth in passengers from China recorded for the 12 months to December, when numbers rose 28 percent, is ongoing. Australia attracts the biggest proportion of international travelers from New Zealand, which account for 18 percent of total international passengers, but numbers were up just 1 percent in the 12 months to January. Thailand and Japan are the next fastest-growing destinations after China for travelers to fly from into Australia, with passenger numbers rising 8 percent and 7.3 percent, respectively, over the 12-month period. However, numbers from Indonesia dropped 6.7 percent. International passenger traffic into Australia has been rising steadily for the past seven years, with the last month-on-month decrease in traffic recorded in March 2011, according to BITRE. Some 3.88 million international passengers traveled through Australia in January 2018, up from 3.80 million the same month a year earlier. The world's busiest airport was once again Hartsfield-Jackson Atlanta International Airport in 2017, with close to 104 million passengers, according to preliminary travel data from Airports Council International. The airport often is busy because it is a major connecting hub and port of entry into North America. However, Atlanta was the only airport in the top 20 to see a decrease in passenger traffic last year, with a small drop of 0.26 percent. Meanwhile, Beijing Capital International Airport in China came in second place again, with 94.4 million passengers, an increase of 1.5 percent. The second busiest U.S. airport on the list is Los Angeles International Airport, which saw a 4.49 percent increase in traffic last year. Tokyo International Haneda Airport, meanwhile, experienced 6.46 percent growth, moving it up to fourth place. The 22nd busiest passenger airport in 2016, Delhi's Indira Gandhi International Airport jumped into 16th position in 2017, with total passenger traffic growing by 14.1 percent. Globally, there were significant increases in passenger numbers, cargo, international freight, and total aircraft movements. Worldwide passenger traffic increased 6.6 percent in 2017, while international passenger numbers were up 8.4 percent. China wants to ensure that its offshore duty-free shopping policy in Hainan covers all outbound tourists, said President Xi Jinping. The plan is part of new reforms aimed at opening up the Chinese economy, which was announced as part of the celebrations for the 30th anniversary of the founding of Hainan Province and the Hainan Special Economic Zone. The State Council, China's cabinet, gave Hainan permission to run a pilot duty-free program in April 2011 in an effort to make the island a world-class tourist destination. Currently, Hainan has two duty-free shops, with one in the provincial capital of Haikou and the other in the resort city of Sanya on the southern tip of Hainan Island. Toulouse, France, is now one of Europe's high-tech cities and is undergoing rapid demographic expansion. The city and Occitanie Region feature eight sites belonging to the UNESCO World heritage. Furthermore, the region includes Lourdes, which is the biggest regional tourist attraction and the third-most visited tourist site in France, and Toulouse is located two hours from the Pyrenees Mountains. Toulouse-Blagnac Airport (ATB) had a record year in 2017, handling 1.1 million more passengers than in the previous year, making it the No. 3 French regional airport with 9.2 million passengers. Growing use of the airport means it has had to adapt its infrastructure, thinking bigger and offering services expected by international passengers. In addition to adjusting passenger flow and opening a new high-speed, high-tech security checkpoint, ATB has opened a new duty-free area for all passengers, whether their flight is domestic, European (Schengen Area, VAT charged on product prices), or international (outside Schengen Area, no VAT). The duty-free area was expanded from 680 square meters to 1,800 square meters, and it offers alcohol, tobacco, and perfume products as well as a selection of the finest regional products. Operated by the Dufry brand, this duty-free area is a prelude to the upmarket services that will be offered to passengers at the end of the year. "This first stage in the journey to boarding is illustrative of the full experience we intend to offer our passengers at the end of the year: a single route for all, with a more pleasant feel and with many services along the way," says ATB Chairman Jean-Michel Vernhes. "We have an ever-growing international clientele, who want their time at the airport to be useful and enjoyable. To meet this demand, in 2018 we will be offering a far superior level of services than before." From Los Angeles to New York to Atlanta and dozens of other airports, airlines and local officials are planning $100 billion in renovations over the next few years. American Airlines, United, and other carriers at O'Hare agreed to new airport leases that will underpin funding plans for an expansion that is being mirrored at other big hubs across the country. Many of these airports and airlines hope to address what passengers say are the most frustrating parts of air travel: navigating crowded, aging airports. However, airlines are arguing over who will benefit from these expansions and who will cover the costs. In Chicago, for example, the city slated five of the eight new gates for United in the initial phase of expansion, but American Airlines protested until the city agreed to speed up building three more gates that will be shared between carriers at the airport. Airlines are central to the funding process, either paying for airport facilities themselves or committing to long-term levels of flying that underpin bond issues by cities to pay for improvements. Airlines also have said they will pay for streamlined security measures.